Feeling pretty darned blessed today. Today we celebrate the 28th week of pregnancy and officially start the 3rd and final trimester of our pregnancy. I'm so glad I was able to surprise wife with a Baby Moon getaway to Las Vegas. Wife has been going through a lot these last couple months and needed to give her a break. So I thought, what better time and place than a Vegas trip to the Spa at the Four Season's in Las Vegas! One of my favorite places in Vegas. While you are in the fun of the excitement of Vegas, this place is a safe, quiet, peaceful, and serene haven from all the craziness of Vegas. So you go out, get your fill, and come back to total zen tranquility. I am sure Baby G was also loving the pampering that only this place can provide. Weighs 2 and a 1/4 lbs. Officially in the 3rd and final trimester of residing in the womb. Considered to be the size of an eggplant. Wife is feeling great. 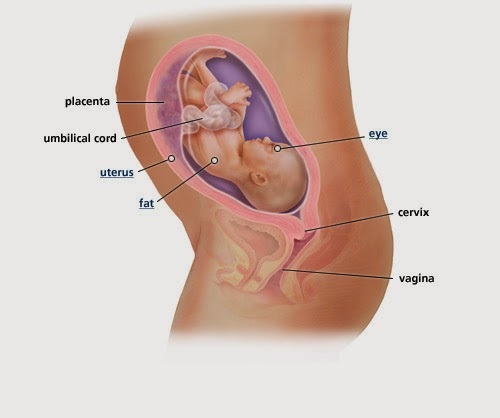 We are noticing that the baby's activity in the womb is getting stronger and with more frequency. Her skin is still very dry and actually on the flight to Vegas experienced some swelling in her feet, which is a first. Her nails and hair are growing at warp speed. Her energy is great and not tired (unless she has to climb stairs).